CLINTON -- After several years of work, the Lyons district received a much-needed makeover. Back in 2012, the city of Clinton started planning a streetscape project for Main Avenue in Clinton. Due to the deteriorating condition at Main Avenue, part-time city planner Jacob Couppee and others started working on a project to improve the appearance of Main Avenue, which has several local businesses. "There were many reasons why we decided to pursue the project," Couppee said. "We needed new street lighting. There were poles falling over and other issues and we thought it was time for an improvement to the area." After deciding this is a project the city wanted to pursue, Couppee says they started working on the design and the feasibility of the project. They had to coordinate with the Iowa Department of Natural Resources to verify what they were planning to do was acceptable. The proposal included plans for new street lights, trees, bike lanes and benches, among other features. "Coming up with the concept and completing the work took between 2 and 3 years," Couppee said. "We worked on a design and met with Lyons, where we submitted our concept at meetings. They told us what they liked and didn't like and we eventually came up with a design that worked for everyone." The project was done in conjunction with a 25th Avenue North pump station project the city also was working on. 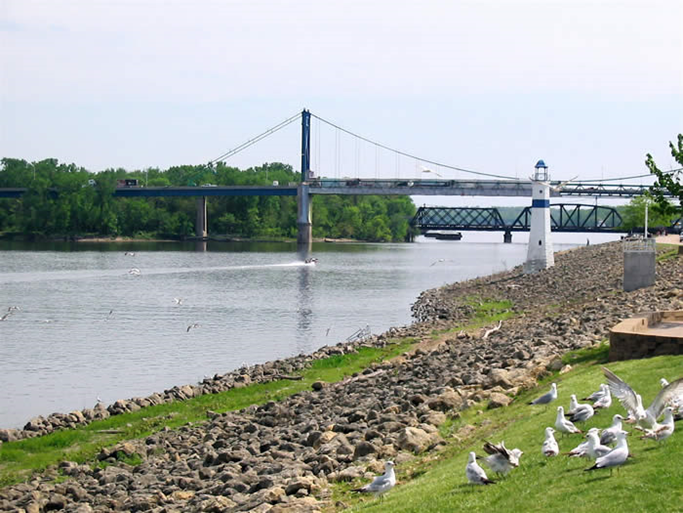 The Main Avenue project benefited from an offer from the Iowa DNR for a loan refund for reimbursement at 0 percent interest. This project also will increase the efficiency of the water run off and will result in a cleaner environment. "We needed an improvement to the storm water which came down to Main Avenue," Couppee said. "We needed an update and this is one we could do." The project was completed earlier this year and a ribbon cutting a couple months ago celebrated the completed project. Couppee says he has heard good things from the public about the completed project, adding the area lights up at night due to the illumination brought by the new lights, adding he has heard nothing but positive things from the community. "This project was made possible because of a collaborative effort from many people," Couppee said. LBPA (Lyons Business Partners Association), the city and the DNR (Department of Natural Resources) all played a role in completing this project. It took many people to make this project happen and it turned out just as we had hoped it would." Firm: MSA Professional Services, Inc.